What can SMEs expect from Budget 2017? Flexiloans / SME Finance / What can SMEs expect from Budget 2017? Beyond the glass walled buildings and air-conditioned offices one sees in cities, are small offices built in residential apartments, factories and foundries. These units make up India’s booming SME sector. A sector much applauded for its contribution to employment, manufacturing output and exports. A sector waiting for a big bang, yet, which is crippled because of its inherent problems. According to the SME Chamber of India, there are 36 million units in this sector, which churn out 6,000 products and contribute 8% to the country’s GDP. These units provide employment to 80 million people and contribute 40% of the country’s exports. Needless to say, this sector makes up the country and is reflective of the growth the country witnesses beyond the mega cities. These incentives provide a wide berth of growth that SMEs can capitalize on. The growth trajectory for several SMEs was derailed because of the demonetization move that was announced by the Government on November 8th, 2016. Several SMEs reported depressed demand and job losses because of a halt in production. 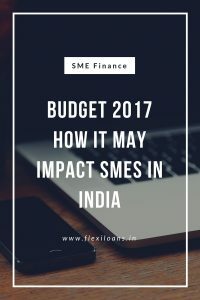 The Budget 2017, because of it’s importance in the scheme of national polity, is crucial for the SME sector, right at this moment. 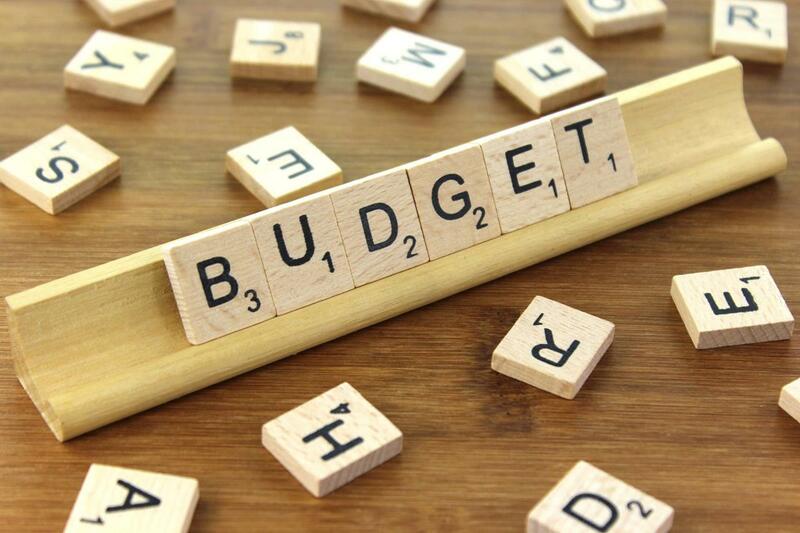 The Budget, with its various announcements, can have a make or break impact for the several millions of units in the sector. The GST currently is looking at a rate structure of 6%, 12% 18% and 26%. Given the downturn in manufacturing output and the looming increase in duties under GST, a rebate for SMEs will make the bill easy on the sector. Relaxing some of the provisions will help units get back on their feet until the demonetization woes have been shaken off. The Prime Minister in his speech on December 31st, 2016 announced that the credit guarantee for SMEs would increase to Rs. 2 crore. He followed that by announcing an improvement in the cash credit limits to 35% and an improvement in working capital loans to 30%. The Budget is expected to provide legal backing through taxation laws for these announcements. The transition to cashless for several small enterprises is difficult with slower clearing of dues from merchants and charges for using cashless modes. A regulation of these to limit the losses will help the SMEs to transition easily to using cashless. A clear guidance on the rates that banks and other financial institutions can charge will provide clarity and help units plan their cash flows. For several SMEs, the Government’s infrastructure push can provide a lot of help in terms of reducing transit time. By focusing on improving rural connectivity and building stronger logistics supply in Tier 3 cities, the SMEs can expect some spending in the infra structure in the Budget. SMEs will expect some focus on agriculture based SMEs to help provide much needed relief and employment in the rural areas. One of the biggest things the SME sector would expect is sops to help transition to cashless transactions. With that taken care of, their business would be expected to improve once people can spend their money in cashless forms. The Budget 2017 is a crucial one for the sector hardest hit by demonetization. The current Government will do well to address all of its concerns or risk facing immense loss of political capital. Given that several key states are heading towards an election, the Government may turn to popular measures to help the key participants of these states. The SME sector would do well to wait and watch for the Budget 2017 and hope that the announcements dispel some of the winter gloom. Home » Blog » SME Finance » What can SMEs expect from Budget 2017?